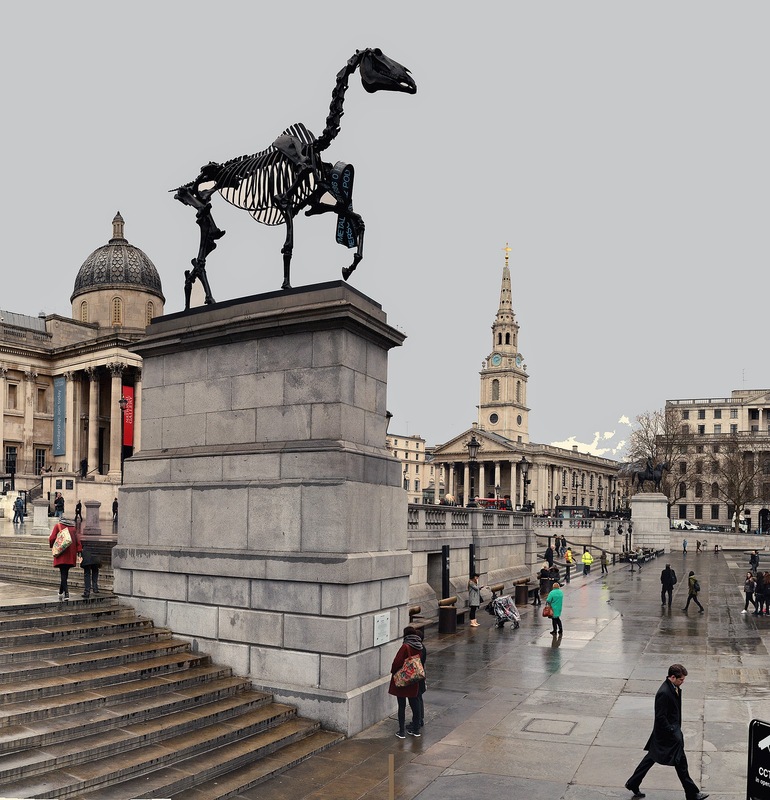 There's a bronze skeleton of a horse with a bow on it on the fourth plinth in Trafalgar Square at the moment, and the bow shows some numbers from the London Stock Exchange. It's not the cleverest or most innovative thing to stand on the plinth, but the skeleton at least is a nice contrast with London's other equestrian statues, and some people seem to like the bow. It's great that they're still doing this, but why on earth they never commissioned the pipe-organ cashpoint, your author will never know.